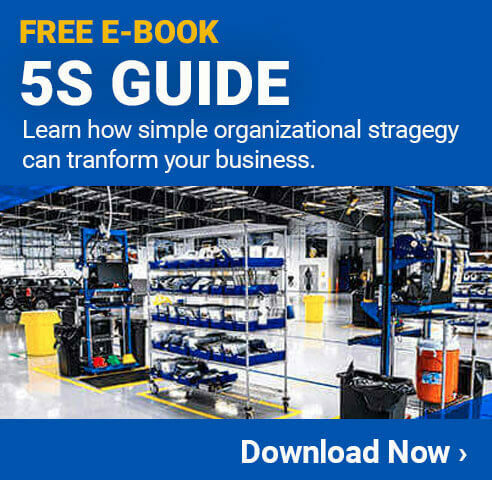 When operating a warehouse, nothing is more important than organization. Warehouses often have thousands of shelves, and it is essential to be able to pinpoint where each piece of inventory is located at a given time. For many companies, this is where a LabelTac label printer can really help to get the job done. 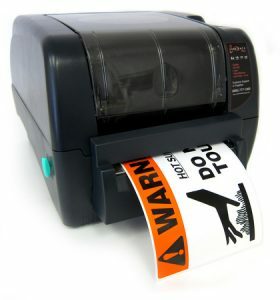 LabelTac printers allow companies to print off custom made labels to be used whenever and wherever they are needed. For a warehouse, the list of places where they can be used is nearly endless. 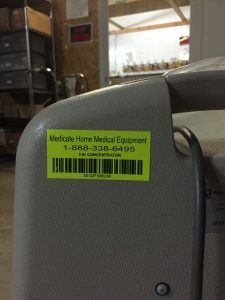 Learning how to make warehouse labels is an important first step toward maximizing the benefit a facility will gain from having this type of printer. LabelTac printers can be hooked up to most types of computers to receive print jobs from. Using the included software, warehouses can design custom labels to meet their exact needs. This can include things like bar codes, QR codes, colored labels, and much more. Once the labels are created, they can be sent to the printer as they are needed. This will allow departments throughout the warehouse to use labels to improve organization at a minimal cost. Labeling Vehicles – Warehouses often have lots of high-lows, fork lifts, and other vehicles that are used for moving things around. Putting a label on each one will help make it easier to keep up with regular maintenance that is needed. Shelving Labels – Printing labels with bar codes or QR codes and placing them on the shelves is a great way to keep track of what inventory goes well. Equip employees with devices that can read the codes and they can scan them in just seconds to get the information that is needed. Drawer or Bin Labeling – If products or inventory are kept in drawers or bins, using labels on the outside can help ensure employees don’t need to pull each one open to see what it inside, which can waste a lot of time. Instructional Labels – Many things in a warehouse need to be done in a specific way in order to ensure nothing is broken or damaged. Printing these instructions on a label that can be applied to the products (or where they are kept) can help prevent damage or other issues. Color Coded Storage Labels – Using colored labels on storage areas can help ensure the right inventory or products are used at a given time. Colored labels are bold and easy to identify, so employees can quickly make the right choices. Safety Labels – Of course, improving safety with labels is a very popular option. Putting up labels to alert people to any present dangers is a fast and easy way to ensure the facility has fewer accidents and injuries. There are many other types of warehouse labels that can be made with a LabelTac label printer. Coming up with these ideas is simple, and implementing them is even easier thanks to the flexibility of LabelTac printers. Check out Creative Safety Supply for all your LabelTac printer needs.